The Smurfs found their way into victory lane at the Brickyard 400 just ahead of their nationwide debut. 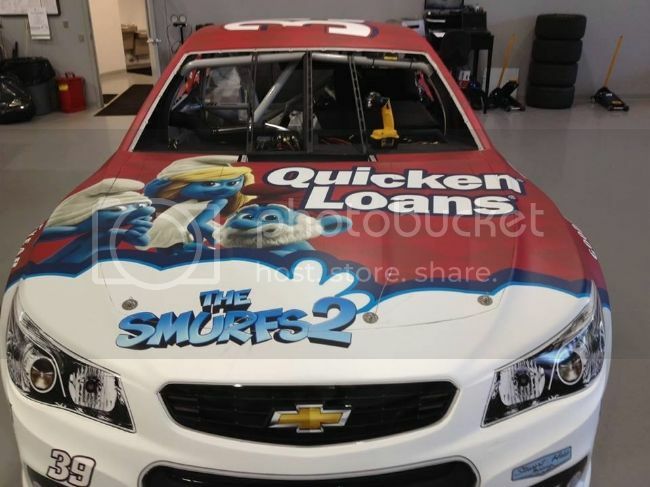 Sony Pictures Entertainment partnered up with the #39 Quicken Loans Chevrolet this past weekend to promote The Smurfs 2, which premieres July 31st in theaters across the country. With Ryan Newman's win, the Smurfs found themselves in a rather unusual spot... victory lane! Check out this paint scheme folks..